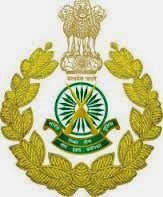 A latest job notification has been advertised by ITBP, Ministry of Home affairs and offers the chance to Indian Nationals to get selected for serving their country as an Assistant Sub Inspector (Stenographer) and Head Constable (Education & Stress Counter and Ministerial) posts. Candidates who fill the all eligibility conditions mentioned in the advertisement should applicable to apply for the all eligibility conditions mentiioned in the advertisement should applicable to apply for these posts before the last date. Details about the recruitment should be mentiaoned below..
Cadet posses the Intermediate or 12th class certificate for the ASI and HC (Ministerial) Posts, Degree in Psychology as a subject or Bechlore of Education for the post of HC (Education and stress Counter) from a govt recognized Board/University. Candets age for the ASI and HC (Menistrial) lies in between 18 to 25 years as on 01-01-2014 and for HC (Eduction and Stress Counter) must be between 20 to 25 years a 31-03-2014. Upper age relaxation as per the rules. Candidate belonging to the general and OBC categories will pay Rs. 50/- in form of Central Recruitment Fee Stamp (CRSF) in favour of the authority mentioned in the official notice. No fee required to pay by the Reserved candidates. Candidates who are applied for these vacancies to get selected must clear the Physical standard Test, Written Exam and Skill Test. Final Selection is made on the basis of Marks obtained in these tests or Meirt List. Last date for Application submission: 31-03-2014. Cadets need to send their bio-data duly filled prescribe application form in Hindi or English language which the applicant prefer with attached attested photo copies of relevant documents and send it to the addressed mentioned in the official notice in front of each post.